love the pop of color on the kraft background. Then I noticed the rainbow in photo. So great! This is amazing! I love how you used the paper to reflect the rainbow in your photo. Genius!! I also love how you did the title partly on the photo. LOVE the photo and the rainbow you made. I love the sunburst in the corner. What a great idea and a great layout. Awesome sunburst. Love the added stitching! Great view of the back of the camper. love it! What a cool photo! 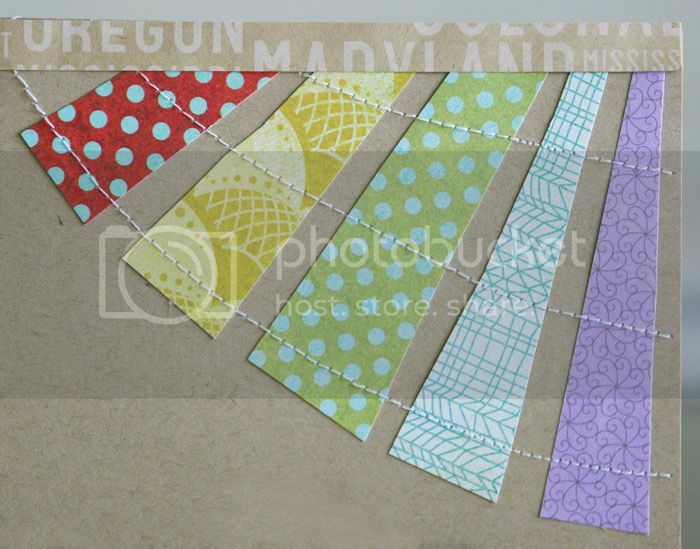 Love how you used the colorful strips to form a partial sunburst. I love those colorful sun rays! So cool Mary Ann! That is an awesome album, The papers you cut are perfect theme for the rainbow.